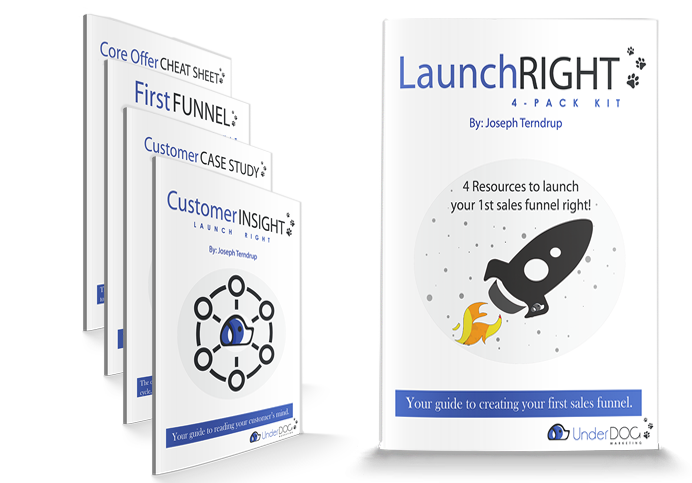 Launch your first sales funnel right with our FREE kit. ​First Sales Funnel: This package includes a white paper that discusses how to launch your first sales funnel. Customer Case Study: We walk you through all these resources with a case study to explain how you can get actionable information from these tools. Core Offer Cheat Sheet: We brought together a cheat sheet that explains the 6 pillars of building your core offer: Deep Questions, Split Testing, Benefits, Big Promise, Big Idea, and USP.